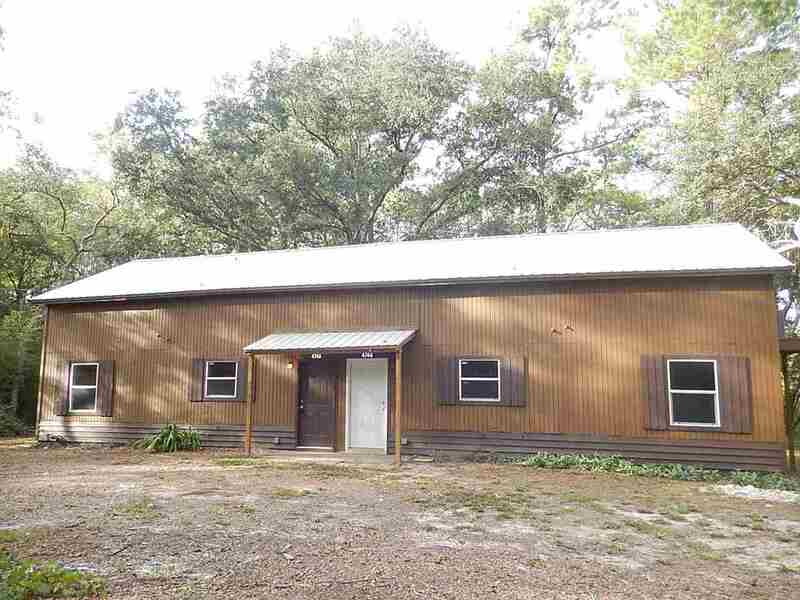 REMODELED 2/1 w/ Loft & Vaulted Ceilings on .5 Acres for $725/month Available June 1st! You will love this newly redone 2/1 duplex that features a large loft, hard surface floors, vaulted ceilings, and washer/dryer hook ups! There is newer paint, flooring, fixtures, cabinets, counters, and appliances (not pictured). There is a front and back covered patio and huge yard! Quiet neighborhood in a country setting. About 15 minutes from downtown, FSU, TCC, etc. 5 minutes from the airport. 25 minutes from the coast. All this for $725/month available June 1st, 2019. *Only one small pet is allowed*. © 2019 Tallahassee Board of Realtors®. All rights reserved. Information deemed to be reliable but not guaranteed. The data relating to real estate for sale on this website comes from Tallahassee Board of Realtors® and the Broker Reciprocity Program. Real estate listings held by brokerage firms other than Destination Real Estate are marked with the BR logo and detailed information about them includes the name of the listing brokers. Listing broker has attempted to offer accurate data, but buyers are advised to confirm all items. Information last updated on 2019-04-18.